How much is Simon Nessman Worth? 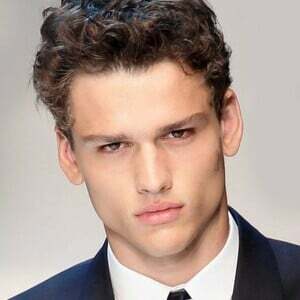 Simon Nessman Net Worth: Simon Nessman is a Canadian model who has a net worth of $10 million dollars. Born in Courtenay, British Columbia, Canada on November 5, 1989, Nessman stands at six feet and two inches with brown hair and brown eyes. He is the current face of Giorgio Armani and has worked with major names such as Dolce and Gabbana, Versace, Ralph Lauren, Calvin Klein, Gap, Barney's among other. He has been featured in several runway shows for designers including Tommy Hilfiger, Armani, Lacoste, and Michael Kors, which has led to magazine features in Vogue, V Man, Details, L'Officiel Hommes, and Numero. In 2012, Nessman became the face of Giorgio Armani's new fragrance called Acqua di Gio Essenza. Many have recognized Nessman as the second most successful male model in the world. He is currently under contract with Major Model Management and Sole Artist Management.